The information given and opinions expressed on this website do not constitute a full description. They do not provide any scientific opinion or recommendations or advice regarding health in the broadest sense of the term. Any of the information displayed at this website may be modified at any time. This website and the copyrights relating to the information, logos, photos, images, films, analyses, protocols or studies featured on the site are the property of SPRL HOUBLONDE. 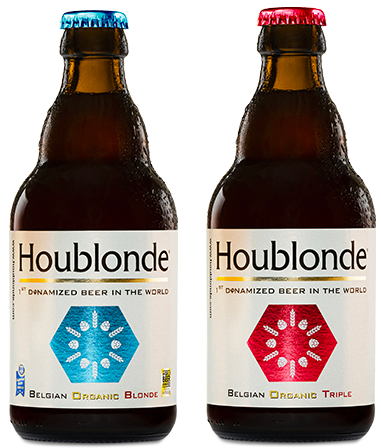 The information relating to HOUBLONDE is the intellectual property of SPRL HOUBLONDE. This website contains links to other websites over which SPRL HOUBLONDE has no control. SPRL HOUBLONDE does not accept responsibility for the operations or content of these other websites. The operators of associated websites are solely responsible for their content. This website (including these legal notices and general terms and conditions of sale) is governed by Belgian law. The courts in Belgium shall have sole jurisdiction to hear disputes relating to this website. These legal notices and general terms and conditions of sale may be amended from time to time by SPRL HOUBLONDE. As such, make sure that you examine them each time you use this website. The personal data that you pass on through this website or by e-mail will be processed by SPRL HOUBLONDE. Under no circumstances will this personal data be passed on to third parties. You may obtain this personal data as well as, where appropriate, request the amendment or deletion of this personal data, as stipulated by the Data Protection Act of 8th December 1992 regarding the processing of data of a personal nature. The beer Houblonde is brewed and bottled by the SA Brasserie de Brunehaut.